Here’s the latest version of my post-installation guides for Linux distros. This one’s for Xubuntu Linux 16.04 LTS. 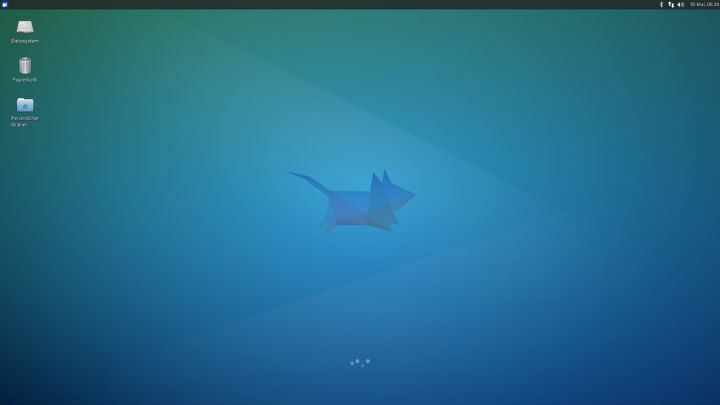 Xubuntu is a Xfce-based variant of the Ubuntu Linux distribution, with releases roughly keeping pace with those for Ubuntu. The most recent long-term service (LTS) Xubuntu release is 16.04, “Xenial Xerus,” which came out in April 2016. Support is scheduled to last through April 2019. Usual disclaimers: Not responsible if any of these tips wreak havoc on your computer. Backup all relevant hard drive information before proceeding with upgrades. These instructions assume one’s installing the 64-bit version of Xubuntu. Xubuntu can be downloaded from their main website. It’s also advised before installing anything to verify the ISO’s checksum hashes, as listed on Ubuntu’s wiki. Xubuntu’s hashes are available here. The initial Xubuntu installation menu offers a checkbox, which will install some codecs (such as MP3 support) right away. However, it’s still worth installing the following packages to cover the most common multimedia uses. During installation, an agreement box will appear in the terminal window for installation of the Microsoft fonts. Use the keyboard to select “OK” to finish installation. Follow any instructions displayed to complete installation. Here’s my recommended applications to install/use on Xubuntu. Some of them are web-based, but will work fine in a browser. 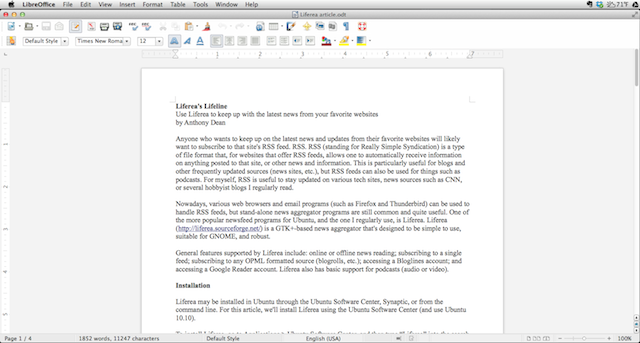 LibreOffice: Xubuntu comes with the lightweight GNOME Office suite pre-installed (Abiword for word processing and Gnumeric for spreadsheets). However, I prefer LibreOffice for my writing and spreadsheet needs. Google Docs: Google’s web-based office software suite (Docs for word processing, Sheets for spreadsheets) works fine. GCStar: A database program for hobbyists who wish to track their collections. Calibre: An ebook management program. GnuCash: Similar to Quicken, this program handles general financial bookkeeping duties (balancing checkbooks, tracking payments, etc.). Chrome: Xubuntu comes with Firefox pre-installed. Still, Chrome’s the main alternative to consider. While Chromium is an option (Chrome’s open source counterpart), some Google-specific features found in Chrome (such as Netflix support) aren’t available in Chromium. HexChat: A popular cross-platform IRC program. KeePassX: An excellent password management program, with cross-platform support. LastPass: A web-based password management program, and the one I use. Synaptic Package Manager: Power users and those used to older *buntu versions might want to install this. Back In Time: A user-friendly backup program with some similarities to OS X’s Time Machine. gufw: A firewall management program. ClamTK: A GUI version of the command-line program clamav, this is a popular (and free) antivirus program. While viruses aren’t as big a concern for Linux users, it still doesn’t hurt to have a program like ClamTK installed. Dropbox: The popular cloud-based storage service offers Linux software to integrate it into the desktop. MComix: A comics reader for DRM-free PDF, CBR and CBZ files. Audacity: An audio editing program. Sound Converter: A program to convert sounds from one format to another. Handbrake: An easy-to-use DVD (and a few other video formats) conversion program. It can be downloaded and installed manually from its website (www.handbrake.fr). A version’s included with Xubuntu’s repositories, but it offers less support for popular codecs. Plex: A popular media server program that’s available on pretty much every platform, including Linux. Plex makes serving media files to various devices easy. Google Play Music: Music works well through its web based player. It also offers the option of uploading one’s music collection (up to 50,000 songs). The uploaded music collection can be accessed on pretty much any other device. Spotify: Spotify offers a Linux version of its streaming music player, though the web player also works fine. VLC: The video player’s a staple on Windows and OS X machines, and is available on Linux as well. Banshee: A popular Linux music player/management program, similar to iTunes. While it doesn’t match what’s available on Windows (or even Macs), there’s some games available for Linux. Two places to look for Linux-compatible games are Humble Bundle and Steam. There’s also Frozen Bubble, a popular game available on Linux. While I prefer to rip my CDs as lossless FLAC files for future-proofing purposes, others might prefer the more conventional (and lossy) MP3 format. However, there’s certainly little demand for the OGG default. To set which format to rip CDs to by default, open Banshee (Applications Menu > Multimedia > Banshee). Once open, go to Edit > Preferences > Source Specific tab, then select “Audio CDs.” From here, you can choose which format Banshee should use to import audio CDs. Available options include FLAC, MP3, Ogg Vorbis (the default), and WAV. If you have any questions, corrections, or remarks, please let me know in the comments below.